Gujarat State Primary Education Selection Committee will be relesed HTAT Bharti 2014-15 Provisional Merit List on 10 February, 2014 at 11 AM. 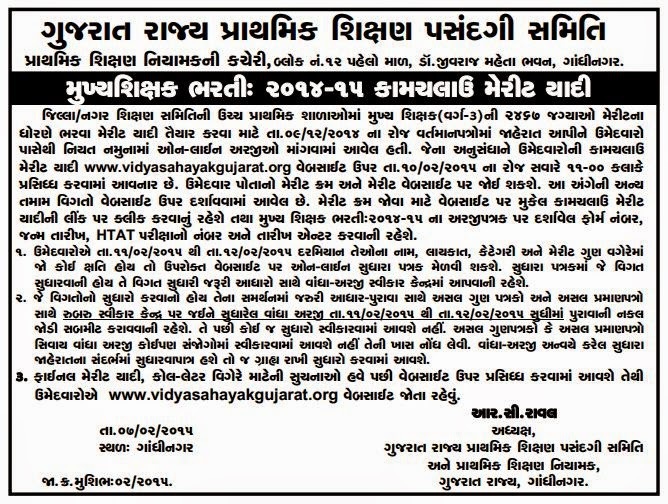 Candidates who have applied for HTAT Recruitment can check their Kamchalau Merit List through Website www.vidyasahayakgujarat.org or form below link by entering application form number, date of birth and htat exam seat number. 0 Response to "HTAT Provisional Merit List will declared on 10 Feb, 11 AM"